Who doesn't love a good churro? And, when you're in Madrid, it's something you've got to try. 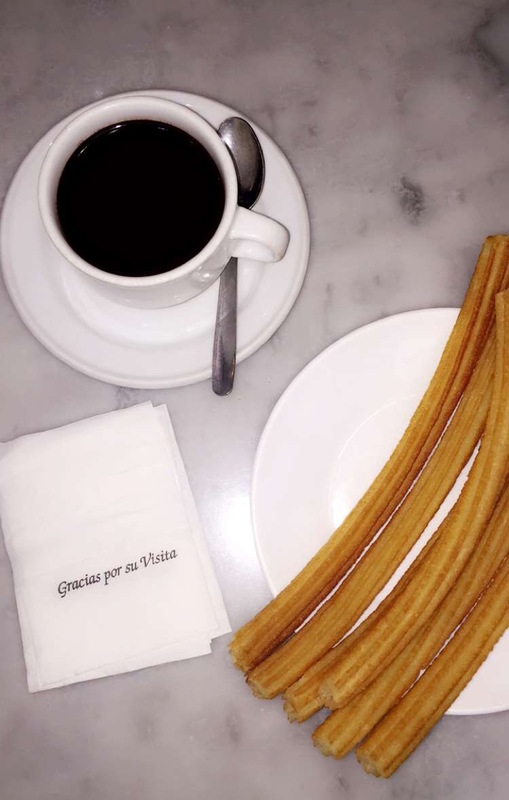 The best churro cafe, Chocolateria San Gines, is located in central Madrid and is actually known for their churros con chocolate. As you walk down the small street to the yummy dessert place, you begin to smell the wonderful smell of churros in the oven! We tried the Churros dipped in deliciously bitter (and sweet!) dark chocolate.